Sixteen-year-old Sonia Ocampo was born on the night of the worst storm Tres Montes had ever seen. And when the winds mercifully stopped, an unshakable belief in the girl's protective powers began. All her life, Sonia has been asked to pray for sick mothers or missing sons, as worried parents and friends press silver milagros in her hands. Sonia knows she has no special powers, but how can she disappoint those who look to her for solace? Still, her conscience is heavy, so when she gets a chance to travel to the city and work in the home of a wealthy woman, she seizes it. At first, Sonia feels freedom in being treated like all the other girls. But when news arrives that her beloved brother has disappeared while looking for work, she learns to her sorrow that she can never truly leave the past or her family behind. With deeply realized characters, a keen sense of place, a hint of magical realism, and a flush of young romance, Meg Medina tells the tale of a strongwilled, warmhearted girl who dares to face life's harsh truths as she finds her real power. Steeped in culture and rich with detail, Meg Medina's debut YA novel, The Girl Who Could Silence the Wind, was a surprisingly gripping read. Normally, I'm a girl with paranormal needs but Meg's a Richmond author, and I'm all about supporting the local literary community, so I was set on reading this from the moment I learned about it even though it was outside my comfort zone. The Girl Who Could Silence the Wind definitely left a lasting impression. Sonia Ocampo, who has defined her life by the beliefs of others since she was a child, has just realized that life is a lie. All her life, she's been carrying the hopes and prayers of the people of Tres Montes. She has pinned their milagros to her shawl for years, shouldering them in silence until they weigh as much as a suit of armor. 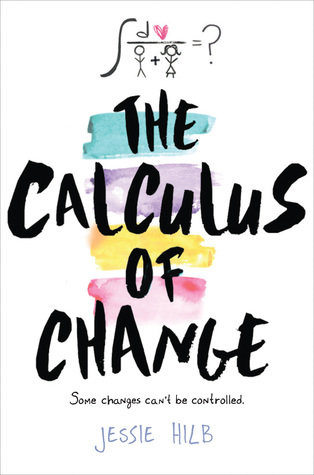 But when tragedy strikes and Sonia has the chance to leave her life and her reputation as the girl of miracles behind, she goes to the capital to work, learn about the world outside her home, and find out who she is once she's free of the milagros weight. 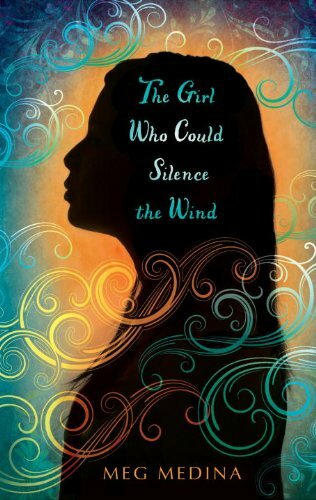 The characters and overall plot of The Girl Who Could Silence the Wind were a bit lukewarm for me. I wasn't able to latch onto any one of them or get to know them enough to become emotionally involved which left me feeling a bit detached. Themes of immigration struggles and personal and generational discovery were what kept me pushing toward the conclusion. What stood out most about this novel was the lengths people go to and the dangers they're willing to face in hopes of securing a better life for themselves. I sympathized with the plight of the people of Tres Montes who were either forced into a meager life of mining or risk their lives for work elsewhere if they were unable to get one of the limited number of legal work permits available. The work you do and how you go about procuring it can be the difference between a better life and death. I quickly became enamoured with Pancho, Sonia's secret crush who has the soul of a poet. He and Sonia share a sweet relationship with just an air of romance, but their relationship isn't my favorite. That goes to Mongo and Pancho. The two of them share such a unique relationship with almost a big brother, little brother dynamic. Pancho knows Mongo, despite his appearance and hardened exterior, was an orphan and may be the only person in Tres Montes who understands him. Mongo also protects Pancho and appreciates his talent for storytelling while others in their town think of Pancho as a dreamer. From their first interaction, I was hooked. When Sonia's brother Rafael disappears the pace of the novel really picks up, and the story becomes more active and engaging. Tensions rose and emotions became high. Sonia also begins to realize that you can never truly leave your past behind. However, it is also the point in the story where things started to feel unfinished. Sonia leaves the capital to return home and the sudden departure, while understandable, leaves things feeling unresolved. While not an explosive book, The Girl Who Could Silence the Wind is most certainly an important one. Larger themes like immigration might make it appear a bit daunting at first, but don't let that deter you. Medina does an excellent job making the Latino culture and tradition and the social issues faced by the people of Tres Montes accessible and understandable.